UrbanPromise represents the best kind of vision, ministry, training, and real service that we have always tried to teach at our Center for Action and Contemplation in New Mexico. They should be teaching us! Every blessing in your continued good work is for God's people. Thirty years ago the vision and mission of UrbanPromise was conceived in a dusty church basement in East Camden, NJ. A small group of college-age missionaries created a summer camp for neighborhood children--providing a safe, loving, fun, and creative place for local youth to escape dangerous city streets. Since 1988, the UrbanPromise model has been replicated in other cities in North America including Vancouver (British Columbia), Toronto (Ontario), and Wilmington (Delaware). In 2003, the model was replicated in Malawi, Africa when William Nyasulu established YouthCare. In 2008 UrbanPromise International was established to formalize this replication process and provide the supports necessary for the model to be used in other communities. ...is to prepare emerging leaders to initiate, develop, and sustain Christian-based youth development organizations and to seed their new ministries as they serve vulnerable children and teens in our world’s most under-resourced communities. 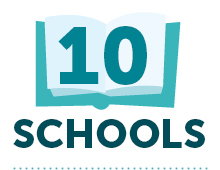 Education is critical to what we do--in the U.S. and worldwide. 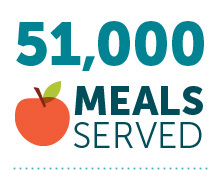 Our programs offer nutritious snacks and meals, often the only food our children receive. 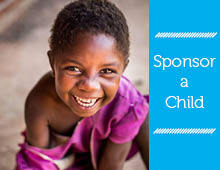 We offer comprehensive, round-the-clock care for some of the world's most vulnerable children. Since 2008, six more ministries have launched in Malawi: RiseMalawi, MercyCare Ministries, Rays of Hope, Cornerstone Ministries, Seeds of Promise and Voices Awake. In 2009, UrbanPromise Honduras began full-time programs. 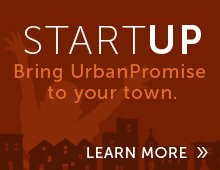 2010 saw the beginning of UrbanPromise Miami and in 2011 UrbanPromise Trenton was launched. 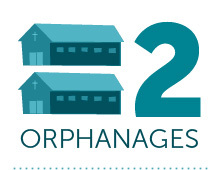 Our first site in Uganda, Children Alive Ministries, began in 2013. In 2014, we launched in Charlotte, NC and also began work in Little Rock, Arkansas and the Dominican Republic in 2016. Finally our newest African sites in Liberia and Kenya, launched in 2016 & 2017 respectively. Each UrbanPromise site and affiliate ministries are dedicated to providing children and youth with the supports that they need to succeed academically, grow spiritually, and prepare for leadership that will bring positive change to their own communities.